There has never been a better time to be talking about simulation of satellite transponders. Figure 1. MSS set up. These high-flyers are incredibly expensive pieces of kit, not just to build, but also to launch and operate. While there is a strong and concerted effort to drive down the cost of low orbit vehicles and to provide alternative fixed geo-position platforms such as High Altitude Platforms (HAPs), still the majority of high data rate traffic is cornered by the multi-billion dollar geostationary ‘birds’ and using those for testing ground stations, of any size, cannot make any level of economic sense. 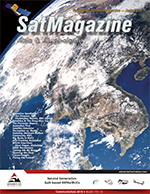 The current alternative of convenient-to-use, comparatively low-cost Satellite Simulators, pioneered by UK based AtlanTecRF, have therefore swiftly come into their own in just about every SATCOM application, from commercial satellite news gathering (SNG), through to in-flight internet connectivity to military secure communications. Having delivered many test systems to delighted operators of SNG vans and airliner antenna systems, AtlanTecRF has now turned its attention to the needs of the manufacturers of equipment where the program requires delivery of, likely portable, ground/mobile terminals as part of a civilian or defence related communications network. Why is it necessary to go beyond the extensive range of Satellite Simulator products which AtlanTecRF has offered to date? The answer lies in the plural ‘terminals’ as the deliverable system. While it is clearly possible to carry out a simulated satellite test on an individual terminal, how much better to be able to prove the whole of the contract hardware with the minimum of real satellite interaction? The new MSS series of Multi-Path Satellite Simulators from AtlanTecRF provides such a possibility. Figure 1 shows the MSS Multi-Path Satellite Simulator set up. The system talks to two sets of ground equipment simultaneously, enabling the user to run extensive and prolonged tests without the need to go ‘live’ on a satellite. The entire network can therefore be set up to a deliverable state, and contract performance achieved in an extremely cost-effective manner. Satellite Simulators in the AtlanTecRF MSS Series consist of three parts, a base control unit and two weatherproof transponders each of which can be orientated to connect with a system under test (SUT) antenna. There is also the option to incorporate all of the digital control within one transponder housing to achieve a two-part test system. The base control unit is a convenient portable bench instrument with the capability of both local and remote, Ethernet control. This unit is connected to two mast-mounted transponders via a power and data cable. The two transponders are inter-connected, each capable of communicating with a fixed or mobile terminal in either X-, Ku-, DBS, Ka- or Q-bands (see Figure 2 on the next page — the system shown is a Ka-band unit) and with the ability to vary the path attenuation, thereby reducing the real-world atmospheric effects. Taking the uplink or Transmit (Tx) carrier from one ground-based system the MSS re-transmits on the receive (Rx) carrier frequency for the downlink. But, instead of sending the signal back to the same ground station from which it received it, the MSS makes contact with a second ground terminal, thereby completing the satellite link from point A to point B, but without any satellite being involved. Internally, the Satellite Simulator takes on the architecture of a high-performance microwave frequency converter, which includes variable input attenuation to cater for the naturally varying Effective Isotropic Radiated Power (EIRP) levels experienced in a typical 44,000 mile round-trip satellite link through the earth’s atmosphere. The other variable parameter is the local oscillator (LO) frequency, which is adjustable to ensure coverage of every likely satellite transponder turn-around to be experienced in the real world. With such a Satellite Simulating Test System, the program provider can test multiple Tx and Rx paths over the full envelope of frequency regimes and gather data to verify the deliverable performance criteria in an incredibly effective and cost-effective way. In addition to the pure issues of economics and speed there may also be other critical considerations in employing this off-air testing using the AtlanTecRF MSS range. If the projected use of the multi-location communications system is to carry either commercially or military confidential information, there is much to be gained by carrying out link path testing in a secure environment rather than in public on an open satellite transmission. Why give your competitor or enemy the heads up on your encryption techniques before you need to send real and vital data? Also by testing privately right across the available Ka-, Ku- and X-band spectrum there is no divulgence of the actual frequencies to be used and the operator, once again, stays ahead of the game. The MSS Satellite Simulator Systems from AtlanTecRF are typically supplied as a two module set to enable pointing to each of a two-terminal communications link with waveguide horn antennas (see Figure 3) of nominal 15dB gain each, whether of linear or circular polarization. The internal input attenuator is controllable in 0.5dB steps up to 60dB while the frequency range of the LO enables the whole of the standard operating bands to be explored. The base conversion is selectable through options from -20dB to +10dB. Local oscillator frequency stability is determined by either a very high grade, low phase noise internal OCXO or from an input from the general system 10MHz reference. Other optional features include phase shift and time delay, thereby further emulating the true and likely conditions to be encountered in the practical application. As always with AtlanTecRF SATCOM RF Testing products ease of use is at the forefront of the design philosophy. No complex menu chains but rather a quick reacting set up and responsive controls. 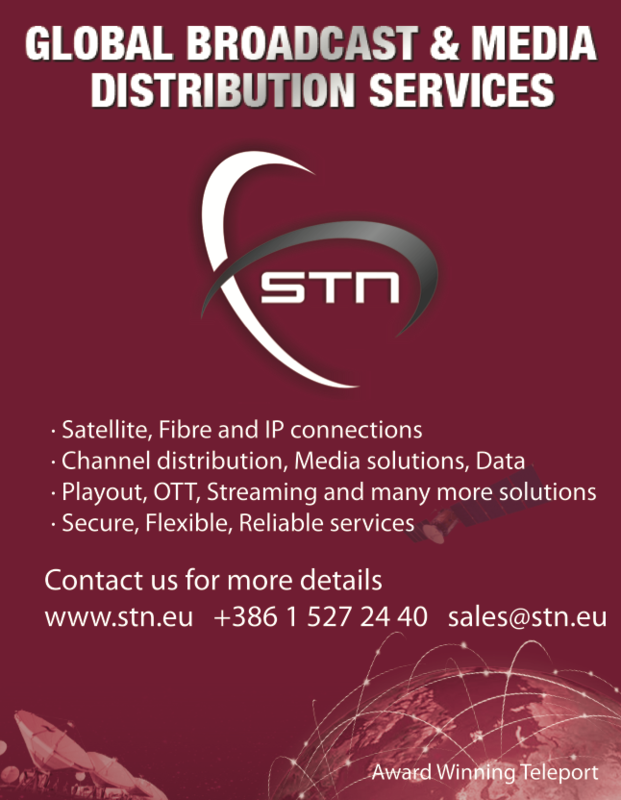 Through extensive user experience, the value of the single path Satellite Simulator has already been established and documented and now its logical extension, the Multi-Path Simulator is set to achieve similar technical and economic milestones for a range of satellite communication manufacturers and operators in the ever demanding and competitive space sector. AtlanTecRF specializes in providing SATCOM RF test equipment to the Military, Government and Commercial organizations. Its comprehensive range of equipment includes Loop Test Translators, Frequency Converters, Signal Generators, Noise Injection Translators, Noise Generators, Line Amplifiers and Satellite Simulators. Equipment covers bands L-, S-, C-, X-, Ku-, DBS, Ka- and Q-. 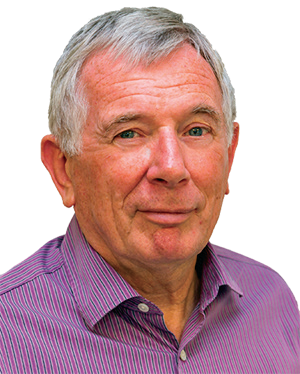 Geoff Burling is AtlanTecRF’s CEO. His role, to drive growth across all aspects of the business by bringing to market a range of new and high quality RF and microwave components, interconnects and equipment. Geoff sets the company’s long-term business strategy and takes the lead in building customer relationships and developing employees. A passionate engineer, who uses his in depth knowledge and market expertise to ensure AtlanTecRF delivers the highest quality products, technical expertise and customer service demanded by today’s engineers.